Sports bag with large main compartment and additional storage sack. Ventilated shoe compartment (takes two pairs). Pocket for water bottle. Padded, ventilated and adjustable shoulder strap. Abrasion-resistant base. 100 % polyester. Size approx. 28 x 25 x 64 cm. Weight approx. 1 kg. Volume approx. 49�litres. 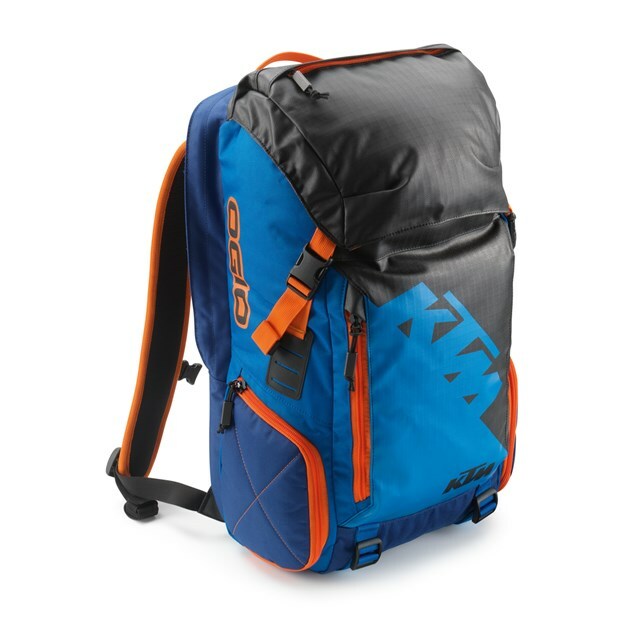 Made exclusively for KTM by Ogio.